In my opinion, dry shampoo is one of the best beauty inventions in recent years. Previously you only had two options for greasy hair: wash it, or put up with it until you get an opportunity to wash it. But now I love that you can get away with an extra day by just spraying some dry shampoo on! It’s also handy that dry shampoo is so universal, it’s not just for reviving greasy hair. You can use it to add volume, or add texture to hair to help hold your styles in place. With this in mind I’ve put together a list of 10 top tips for using dry shampoo. I hope you find them useful! 1. Ok so the point of dry shampoo is because you don’t have time / can’t be bothered to wash your hair, and you want it to look decent enough so you can go out in public, right? So my first tip is to stop touching your hair! Grease, oils and sweat from your hands will transfer to your hair and just add to that lovely oil slick you’re trying to cover up. 2. If you’re organised enough and know you won’t have time in the morning to wash your hair, apply dry shampoo the night before. This gives the shampoo all night to soak up any grease, leaving you with a fresh looking barnet in the morning. 3. For easy, effective and most importantly fast dry shampoo application, part your hair into sections and spray it in at the roots, then just rub in with clean fingers and brush out. Simple! 4. On the other hand, if you have the time I’d also recommend not to rush! Once you’ve sprayed your dry shampoo on, wait up to five minutes if you can. This gives the shampoo time to absorb the oils in your hair. Brushing your hair through after also removes most of the shampoo, so don’t forget to give your hair a good once over with the brush to remove the oil soaked shampoo. 5. If you have a fringe, dry shampoo can keep it from sticking to your forehead and separating throughout the day. Spraying a small amount of dry shampoo on the under side of your fringe only will keep your hair from picking up and sticking to any oil on your forehead. 7. If you’re into backcombing, dry shampoo is definitely your saviour. Just spray some dry shampoo onto the section you’re working with before backcombing to add volume as well as hold. 8. Dry shampoo is also perfect for adding texture and preventing hair from falling flat. A spritz of dry shampoo can make hair easier to work with, especially if you’re trying to achieve a particular style. 9. On that note, to help with volume and texture, flip your head upside down before application. Spray your dry shampoo in at the roots and gently massage in. Apart from soaking up excess oils, this will add volume and texture to the root area, making your hair big, bouncy, and easier to style when you’re the right way up. 10. Did you know dry shampoo is also a great alternative to hairspray? If you’re looking for a light hold you can run your fingers through, without the stiffness of a hairspray, definitely give it a try. Also, please do check out the below sponsored video with the lovely Victoria from The Frow to see her natural waves hair tutorial with Batiste’s range of products. 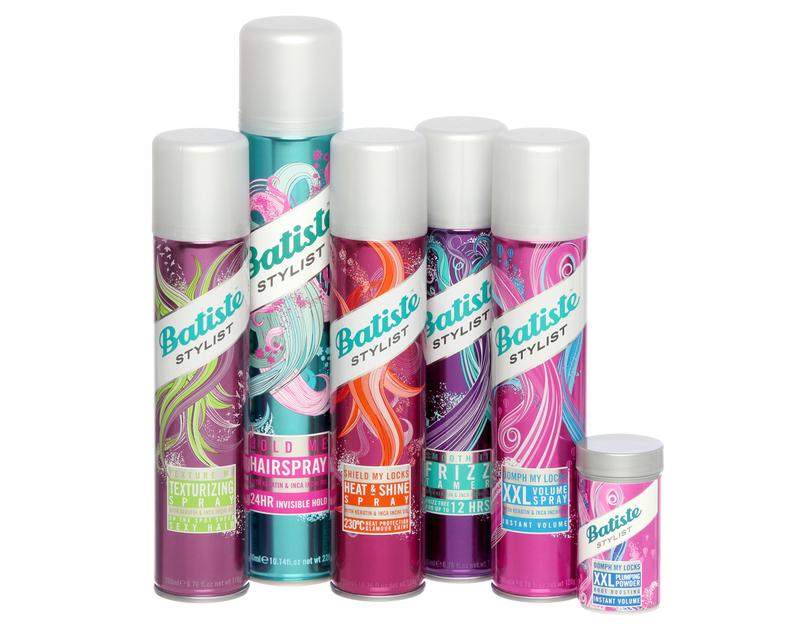 This post is sponsored by Batiste. Six Products for Glowing Skin This Summer! Previous Post Neve Cosmetics Build Your Own Palette + Giveaway!